Coloring is beautiful in this long romper. It is light blue, cream, red and brown stripped and is handsmocked with ducks and a dog. This can be dressed up for church with a long sleeve underneath or it can be worn on a slightly chilly day with no undershirt. This is 100% cotton and very comfortable for boys to wear. 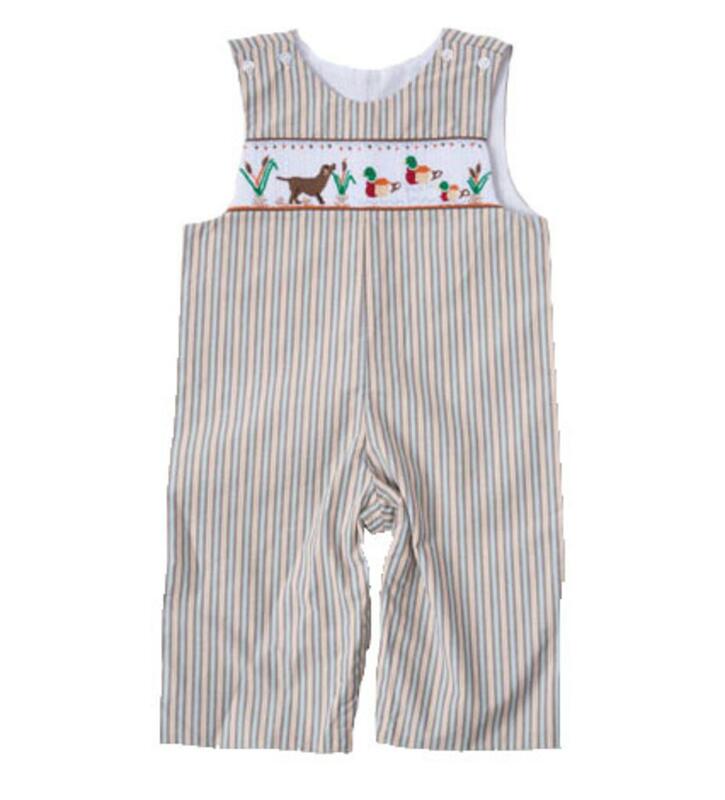 Baby boys look adorable in this long romper.